These presentation slides 48222 are complete compatible with Google Slides. Simple download PPTX and open the template in Google Slides. 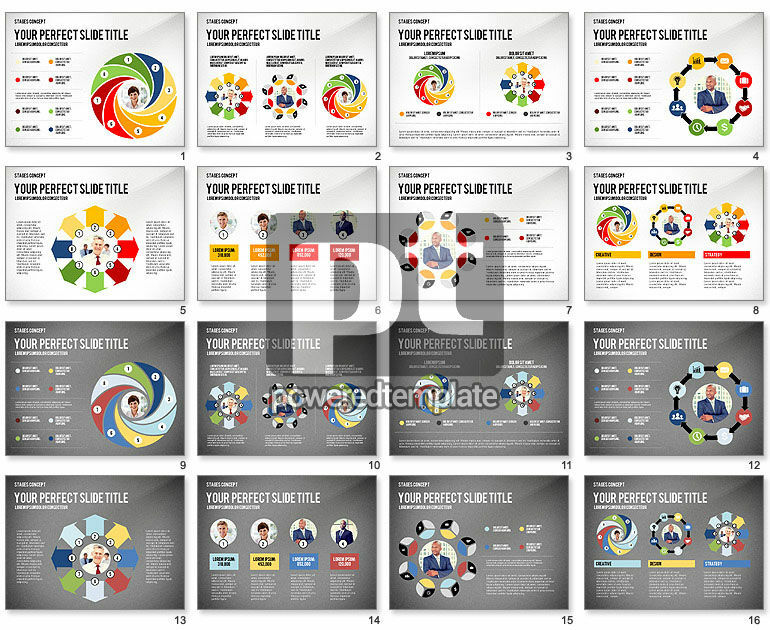 This nice template is a perfect choice for a wide range of company presentations to describe project stages, personnel management concepts, creative ideas, innovative solutions, abstract concepts, motivational concepts and so on. It is made in nice colorful circles style, it has two various backgrounds and may be used by different companies because of its multifunctional nature.